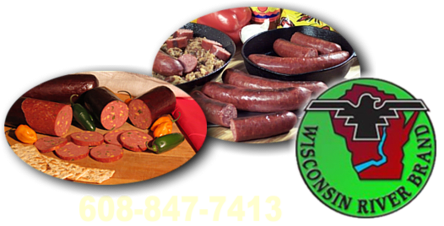 Our popular summer sausage is made in many different varieties using our same old fashioned recipe since 1978. 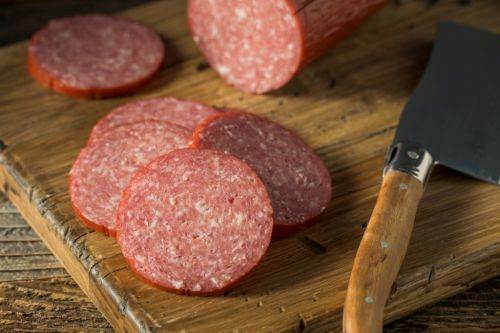 Our regular summer sausage is made from beef and pork, coarse ground with our original recipe of natural spices, hand tied and then slow smoked over hickory for 10 hours. 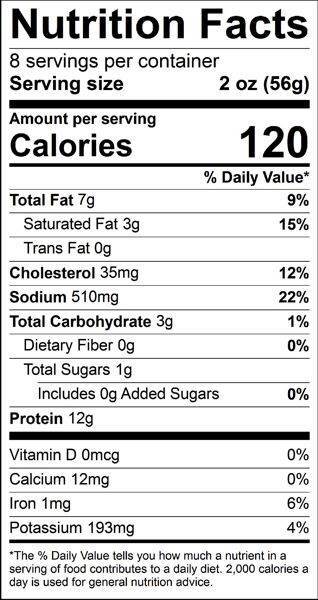 Ingredients: Beef, pork, water, salt, dextrose, corn syrup solids, soy flour, spices, garlic powder, natural smoke flavor, lactic acid starter culture, monosodium glutamate, hydrolyzed soy protein, sodium erythorbate, sodium nitrite, collagen casing. I am from MN but have a hard time finding products like yours in California where I now live. Love your meats ;). It's impossible to find good garlic summer sausage here in Utah. Dave's is the best I've ever had. I received the packages on Thursday. Went ahead and opened one of the summer sausages and let me tell ya that was some wonderful taste'n great sausage. Will get more in the future. Take care guy's. Steve Meister from Charleston, SC. Looks like I will be back! Your summer sausage is Very good. Service Area: Mauston, Wisconsin Rapids, Tomah, Portage, Richland Center, Nekoosa, Lodi, Montello, Pardeeville, Poynette, Cross Plains and surrounding communities.